Are you tired of shelving your creative ideas every now and then just to see others materializing them? Do not worry. 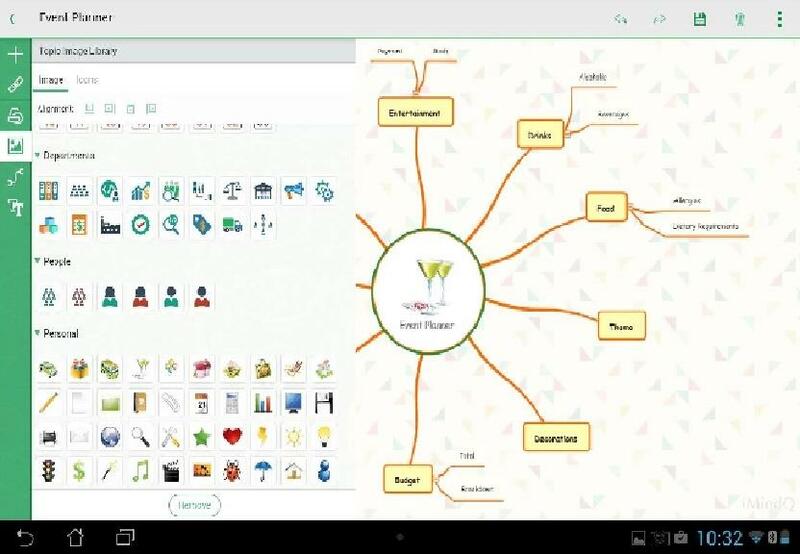 Now there are mind mapping tools that helps you keep a track of your creative ideas and boosts your enthusiasm to pursue them. I found iMindQ to be one such tool that worked fine for me. Would it be your choice? Check it out. To move life further, we need new ideas. To materialize these ideas we need a system to be at place that works sound and understands our needs. 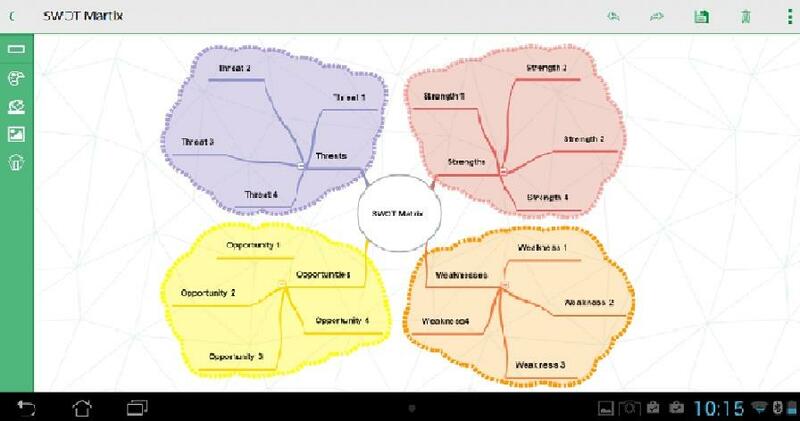 Recently I found this mind mapping app iMindQ which has come up with a mind mapping tool that can boost up your creativity through a brainstorming session, helping through a visual support giving vent to the bottle necked ideas. It will make you go ahead with your plans, give it a round shape and finally makes it presentable with the wire-frame structure to give it a kick start. iMindQ got its launch in the market by Seavus, from Malmö, Sweden. It was primarily crafted as a commercial mind mapping tool that can conduct a brainstorming session through a simple software application. The software is focused on capturing ideas, help in streamlining a thinking process that buds in your mind, manage the same with beholding meetings and discussion while sharing the right set of information. It performs the task of project management where it takes an overall picture of your ideas mapping your mind giving it a correct route. Instilling a logical approach that gets hold of the non-linear ideas, it would assist every individual and group through a number of brainstorming sessions. iMindQ is compatible with Microsoft Windows and Mac OS X. Its online version works well with the mobile and with iOS and Android platforms. You get options to open or save each and every map that you host through the Microsoft SharePoint environment. You are free to make changes that occur later to your mind through the already saved mind maps or the ones that are saved in the projects category irrespective of the platform you choose. The file formats supported in iMindQ are mainly .dmmx files, generally in which the software can access the mind maps, but it has support for other file formats too like MindManager map with .mmap, FreeMind map .mm file format, and XMind maps that come with .xmind file format. 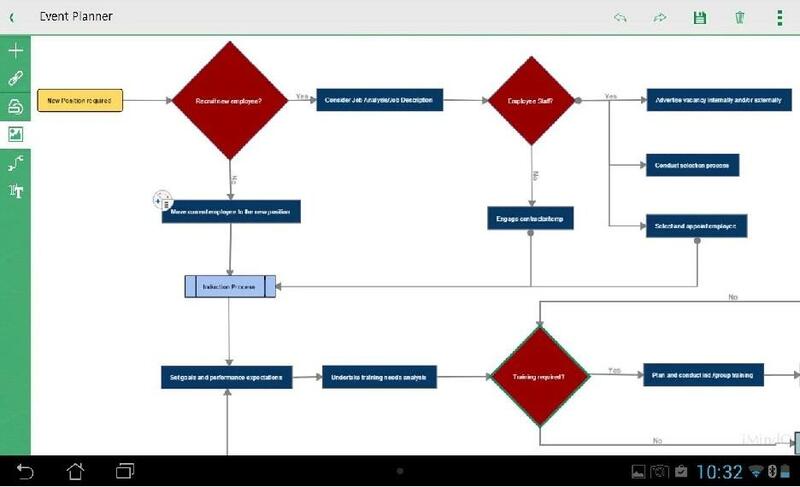 The iMindQ application can help in various ways as it can come handy while envisioning, thinking and sorting out your ideas with all the gathered data that the application assembles for you and proselytes them into an easy to use design. It is almost like using a virtual white board which can be loaded with every piece of thought and inventive musings.The app too named this as "white board" that works like a map where you can play with 30 different styles of templates to choose. Right from the naming of your map, you can glide through the smooth process by stuffing it up with minute level of details and ideas that can cross your mind. The app contains all the basic features that can create topics and subtopics, redo/undo, copy/paste, and finally save your maps representing them as images to give your ideas a visual support. It has an auto-save feature that keeps saving your maps as and when you create them to protect every bit of information that can come handy to you later. The iMindQ app is primarily focused on the boosting up of productivity by giving shape to the new creative ideas. It encourages the creative spirit of the creator by presenting it through a visual support in exactly the same way, as the creator wanted it to be. The maps can be filled with as much information it needs irrespective of its kind. 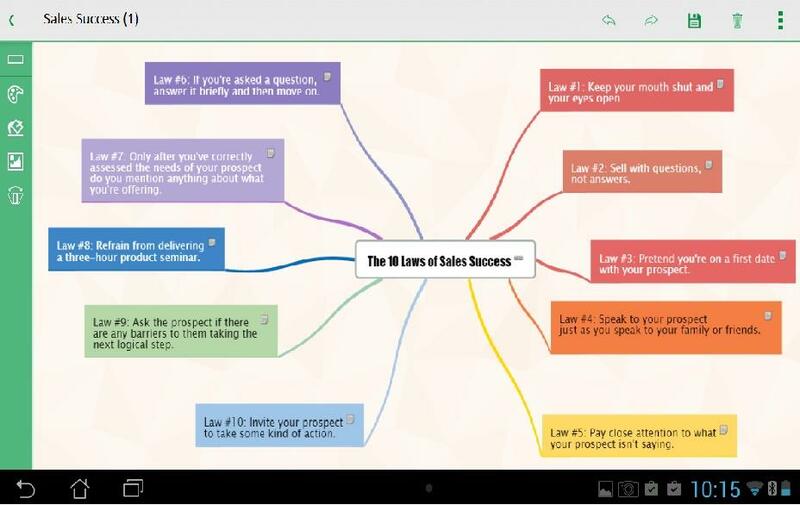 The app gives enough scope for going on adding up features to any topic. It can be images, icons, hyperlinks, notes or all of them. One can change the look of the topic at any point of time, and all these get support of the Bluetooth keyboard, and can be shared on Twitter, Facebook etc. The app has got a few more features like Dropbox integration, printing, cloning, and creating a template that comes out of an existing map. 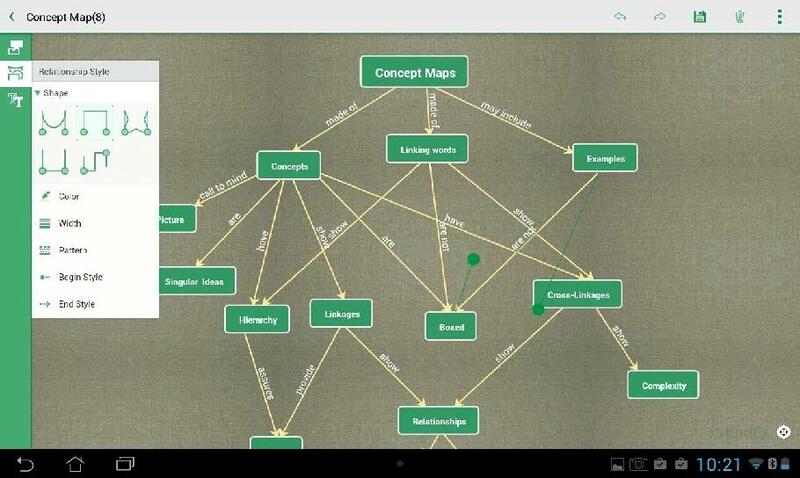 There are tools which can perform pretty complex tasks like creating links and bonding relationships between similar topics, group the familiar types of maps, inserting boundaries, and many more. It helps in sorting out the thoughts and ideas completed by activities through its white board feature. The Create map feature in a split second sets up a visual support to the concepts and thoughts and they have an accumulation of 30 map styles which is quite adequate to suit the reason. The "Add topics and subtopics to your map" feature gives the thoughts a total shape as in ordinarily we have a tendency to overlook and disregard some passing thoughts which may be pertinent to the present one. The customization devices are bounty in number and they work in a significantly complex way which is a significant charming astonishment. They kept in mind to include the default Facebook and Twitter share highlight, with the goal that you can share your thoughts to your nearby and trusted circle. The application likewise offers Dropbox coordination, so putting away your stuff online is not an issue. The tools get excessively mind boggling at times, making it difficult to work through. That definitely needs a genuine tutorial, which isn't there right now. The iMindQ is a perfect application for iPhones, iPads, and iPod touch phones, that uses your available time by giving your contemplation and thoughts a positive shape. Stacked with a variety of cutting edge highlights, iMindQ truly sounds good to those imaginative personalities and business visionaries whose thoughts matter to the general public and increases the value of the way of life of the ordinary people. Despite the fact that a portion of the devices are very hard to ace, it merits giving it some time and learn as it too initiates inventiveness and the desire to learn and have some good times. As of now iMindQ runs well with iOS 7.0 or later and has 3.5 out of five stars rating from its clients. The late overhauls were truly broad where the upgrades and changes made it all the more demanding and easy to use. I love iMindQ. The free web version don't have balance feature, but the Desktop works perfectly. I'm voting for this mind map tool.